· Amortization: The number of years it takes to repay the entire amount of the mortgage. · Appraisal Value: An estimate of a property’s market value by a professional Appraiser; used by lenders in determining the amount of the mortgage. · Debt Service Ratio: The percentage of a borrower’s income that can be used for housing costs. Gross Debt Service (GDS) Ratio: Gross debt service divided by household income. A rule of thumb is that GDS should not exceed 30%. It is also referred to as PIT (Principal, Interest and Taxes) over income. Sometimes energy costs are added to the formula, producing PITE, which moves the rule of thumb GDS to 32%. · Total Debt Service (TDS) Ratio: is the maximum percentage of a borrower’s income that a lender will consider for all debt repayment (other loans and credit cards, etc.) including a mortgage. · Equity: The difference between the price for which a property can be sold and the mortgage(s) on the property. Equity is the owner’s stake in the property. · Foreclosure: A legal process by which the lender takes possession and ownership of a property when the borrower doesn’t meet the mortgage obligations. · Mortgage: A contract between a borrower and a lender. The borrower pledges a property as security to guarantee repayment of the mortgage debt. Lenders consider both the property (security) and the financial worth of the borrower (covenant) in deciding on a mortgage loan. · Assumable Mortgage: A mortgage held on a property by the seller that can be taken over by the buyer, who then accepts responsibility for making the mortgage payments. · Conventional Mortgage: A mortgage loan that is 75 per cent or less of the loan-to-value ratio; and does not require insurance by CMHC or other private insurer. · First Mortgage: The first security registered on a property. Additional mortgages secured against the property are “secondary” to the first mortgage. High-ratio Mortgage: A mortgage that exceeds 75 percent of the loan- to-value ratio; must be insured by either the Canada Mortgage and Housing Corporation (CMHC) or a private insurer to protect the lender against default by the borrower who has less equity invested in the property. · Open Mortgage: A mortgage that can be prepaid or renegotiated at any time and in any amount, without penalty. · Pre-Approved Mortgage: Tentatively approved by a financial institution for a specified amount, interest rate and monthly payment. · Second Mortgage: A second financing arrangement, in addition to the first mortgage, also secured by the property. Second mortgages are usually issued at a higher interest rate and for a shorter term than the first mortgage. 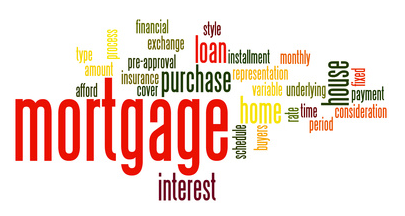 · Term Mortgage: A non-amortizing mortgage under which the principal is paid in its entirety upon the maturity date. Sometimes called a straight loan. · Variable-rate Mortgage: A mortgage for which payments are fixed, but whose interest rate changes in relationship to fluctuating market interest rates. If mortgage rates go up, a larger portion of the payment goes to interest. If rates go down, a larger portion of the payment is applied to the principal. · Vendor Take-Back Mortgage: When sellers use their equity in a property to provide some, or all, of the mortgage financing in order to sell the property. · Mortgage Life Insurance: Insurance that pays off the mortgage debt should the insured borrower die. · Mortgage Payment: The regular instalments made towards paying back the principal and interest on a mortgage. · Mortgagee: The person or financial institution lending the money, secured by a mortgage. · Mortgage Broker: A person or company having contacts with financial institutions or individuals wishing to invest in mortgages. The mortgagor pays the broker a fee for arranging the mortgage. Appraisal and legal services may or may not be included in the fee. · Mortgage Insurer: In Canada, high-ratio mortgages (those representing greater than 75% of the property value) must be insured against default by either CMHC or private insurers. The borrower must arrange and pay for the insurance, which protects the lender against default. · Mortgage Prepayment Penalty: Is a fee paid by the borrower to the lender in exchange for being permitted to break a contract (a mortgage agreement); usually three months’ interest, but it can be a higher or it can be the equivalent of the loss of interest to the lender. · Portability: A mortgage feature that allows borrowers to take their mortgage with them without penalty when they sell their present home and buy another one. · Prepayment Clause: A clause inserted in a mortgage, which gives the mortgagor the privilege of paying all or part of the mortgage debt in advance of the maturity date. · Principal: The mortgage amount initially borrowed or the portion still owing on the mortgage. Interest is calculated on the principal amount. · Rate: (Interest) The return the lender receives for advancing the mortgage funds required by the borrower to purchase a property. · Refinancing: The process of obtaining a new mortgage, usually at a lower interest rate, to replace the existing mortgage. · Secondary Financing: Second, third, fourth, etc. mortgages, secured by a property “behind” the first mortgage. Term: The actual life of a mortgage contract — from six months to ten years — at the end of which the mortgage becomes due and payable unless the lender renews the mortgage for another term (See Amortization). · Weekly Payments: Mortgage payments made weekly or 52 times per year.be asked to submit further information, such as federal income tax statements, to verify your income. The information contained herein is accurate at time of printing. For further information on real estate matters, please contact Bruce at 416-WITCHEL 416-948-2435 or by email at Bruce @ BruceWitchel.com.